A Short Sale in Virginia is the process through which your mortgage company agrees to settle for less than what is owed to them. They do this as an alternative to the expensive and time consuming process of foreclosure. Each mortgage company has their own set of processes through which they decide whether or not to accept a Virginia short sale, and while there are many similarities, each has its own requirements for approval. As a third party mediator, we have a distinct advantage in negotiating with your mortgage company. 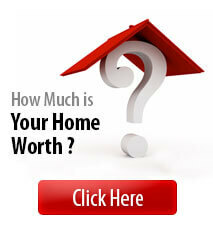 Potentially Sell Your Northern VA Home Quickly and Easily For Top Market Value. Potentially Pay Absolutely No Commissions & No Closing Costs. Potentially Avoid Foreclosure & Bankruptcy. Potentially Lessens The Impact On Your Credit. Potentially Walk Away From Your Home With No Debt And No Tax Consequences. 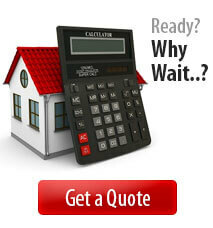 Does Your House Qualify For A Short Sale? If your equity has disappeared, your interest rate has readjusted higher, or if you cannot afford the payments, then your house stands a good chance of being eligible for a “short sale.” Many Northern Virginia homeowners have taken this route with solid results. Will You Owe The Bank Any Money Afterwards? Many of our Northern Virginia short sale clients pay absolutely nothing to sell their home, and walk away owing nothing to their lender(s). How Is Our Credit Affected? A short sale does create a negative impact on your credit. However, it has a lesser impact to your scoring compared to a bankruptcy or foreclosure. It is treated by your lender as a “settlement of a debt” as opposed to a foreclosure or a bankruptcy. You will not have the stain of a foreclosure or a bankruptcy on your credit, and instead of having to wait up to 7 years to buy another home, you might be able to get a new loan on a house as quick as 24 months after the effective short sale (timing is different for each circumstance and person; this is the earliest you might be able to borrow monies for a new mortgage, and some people will have to wait longer). Do I Need To Be Behind On My Payments? No. 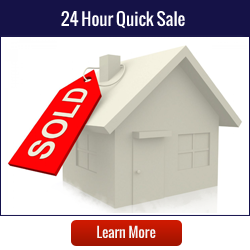 This is a common misconception for a Short Sale in Virginia. You do not need to be behind on your payments or have been late on a payment to do a short sale, although the lenders are more motivated to do the short sale if you are not making payments. Cost To Hire A Short Sale In Virginia Specialist? Here’s the good news! Generally speaking, your mortgage company will actually pay our fees (real estate brokerage fees) to assist you with your short sale in Virginia. Nearly 99% of our clients have had no out of pocket expenses. The lender pays all closing costs, escrow fees, commissions etc. The lender may also pay any outstanding property taxes. There are no upfront fees. This is basically a “free” service to you that you would be foolish not to investigate given your current financial situation. Sound too good to be true? We guarantee that there are no gimmicks.